3DS / hardware / security / WTH? 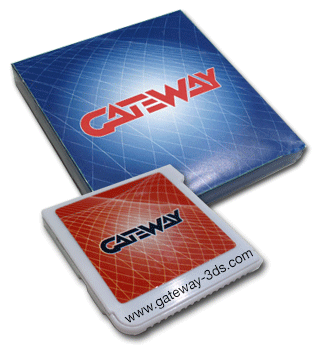 If you own a 3DS you might have heard of the “Gateway 3DS” card. It is basically a flashcart for the Nintendo 3DS that will let people run roms (read: pirated 3DS games). That device was recently in the middle of a storm for embedding code that intentionally bricks some users 3DS, if used on competitors’ hardware. As I’ve confirmed before, the business of hardware hacks enabling piracy is a very juicy market. At an average price of $80 for the Gateway 3DS, even if only 1% of 3DS owners are tempted to buy such a device, we are looking today at a business of about 30 million dollars. With very limited development costs (the group of hackers who found the vulnerabilities used for these flashcarts are either dramatically underpaid based on the numbers I know, OR are the same people driving the whole thing in the first place), extremely low manufacturing costs, an affiliate mechanism that replaces the need for all form of marketing, and a main website built within a few hours, we are looking at an extremely high margin here. I’m guessing more than 50%, but even if we reduce it to 10%, the people behind the Gateway 3DS are looking at a minimum of 3 million dollars in pure benefit. Again, that’s assuming only 1% of 3DS owners are willing to pirate, and the Gateway 3DS team makes only 10% margin on their product. I believe both these numbers to be majorly underestimated. The numbers don’t have to be precise, only the scale matters: we are talking of millions of dollars of benefit, so it is understandable the people behind the Gateway 3DS are trying to protect their business. Companies that create devices such openly designed to enable piracy and copyright infringement are, of course, not legit. Unlike any normal company, you will not easily find who is the owner of gateway-3ds.com (it’s a site hosted in Malaysia and registered by someone in Australia that was created only a few months ago and registered for no longer than 1 year… you get the picture) or who are the developers behind the software/hardware being used. It is the first time I see a company to be producing “high quality” products trying to be as hard as they can to be actually found. As often in that case, you can of course try to follow the money and see where it goes. Someone with enough contacts could probably grease a few paws among the resellers, check the “support forums” and see how well they know the Gateway team, etc… In particular, maxconsole is known to be owned by a shady hardware company, allegedly the same people behind the true blue dongle on the PS3 (the rumors say they went rogue in the 2000s after being sued several times, in particular by Nintendo). Ok, these people are a shady business making a huge pile of money through piracy and don’t want you to find them, nothing new here. But where am I going with this? With the amount of money involved, it is not surprising that other groups of people would try to get their share of the cake. In the case of hardware mods, it typically means clones surface on the market within weeks or months. This happens either because the contracted Chinese manufacturer will resell the blueprints – that’s what you get for cutting costs everywhere to make more profit – or because other groups will reverse engineer the hardware and the code. See my article Clone Wars on the same subject. When hardware manufacturers are being copied, they have several solutions: innovate fast enough that competitors can only follow, be of higher quality in general, or use the patent system to sue unfair competitors. Although I personally do not like Apple products, Apple is the company that strikes me the most as a perfect example of that, using a right balance of innovation, quality, and legal action to guarantee their market doesn’t get cannibalized by clones. The people behind Gateway 3DS of course do not have any legal option, it is in their interest of staying in the shades, and given how highly illegal their business is, they would be in huge trouble. They are trying to innovate on the software end, but that would be costly for them, and what they provide in their updates, from what I can see, is quite limited. 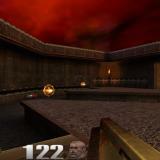 It is also copied almost instantly by clones. Finally, increasing quality of the hardware is probably not on their menu: these people are probably not ready to sacrifice their margin in order to provide visible hardware differences. In case you don’t get my last point here: from a hardware point of view, despite what these people claim, all these flashcarts are pieces of plastic *** built in China at minimal cost. It’s been now proven beyond any reasonable doubt by several known hackers (including our very own mathieulh) and half-admitted by the Gateway 3DS team, that they planted code in their flashcart that can permanently damage the 3DS. The code is made in a way that if it detects it is being run by a clone instead of the “original” Gateway 3DS, there is a random chance it will wipe out some essential information on the 3DS’s memory, bricking the device beyond repair. Ok, I just had the time to look at GW Launcher.dat (yeah I am a little late) and the brick routine is definitely intentional. 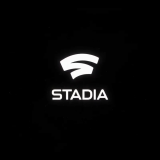 On a side note, there has been a clone announced under various different brand names. If you’ve read the entire article so far, you’ll understand that most of the claims above are highly funny. I can pretty much guarantee the “Gateway 3DS” team won’t be around much longer than their competitors and clones. They are in the hardware business, and supporting firmware updates for their flashcarts will be good enough only as long as they still sell them. Once they have a good established user base and the market starts to saturate (or the hacks get patched by Nintendo, either through hardware or software means), they’ll disappear until they can come up with a new way to sell you stuff. Trust me, the support and “dead product” problem will happen to them as fast as it does to their clones. Guaranteed and confirmed by my experience of more than 8 years on the console hacking scene now. I won’t even mention the “cheap Chinese design and components” part, as if the Gateway 3DS was manufactured with high quality products. That would be a first in dozens of years of console hacking. What do I conclude from all of this? If you pay for piracy, you are not only dumb, you are also giving away your money to fundamentally bad people. It does not matter if you go with Gateway 3DS or with their clones, they are all doing something highly illegal in the first place, but that’s not the only problem: they are all willing to put you at risk to secure their own profit and margin. Maybe the people behind Gateway 3DS put in hundreds of hours of work on their hacks and you feel they deserve your money more than the clones, it does not matter: these people are ready to put your console at risk just to undermine their competition. For all you know, their bricking code could have a bug and impact not only their competitors, but some of their users too. Even if there is no bug in there, the mere fact that these people have spent time trying to make the experience worse for some of their competitors’ users instead of making things better for their own customers is bad enough. There are limits to how far one should try to protect their business, even if that business is shady in the first place. 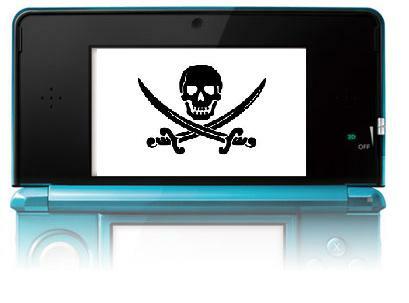 As a result of their behavior, Gateway 3DS are hurting not only their competitors, but their entire business, contributing to the general idea that piracy is dangerous and can damage your console. I just can’t begin to understand why anyone would want to give their hard earned money to people like that. If you decide to still use a flashcart in your 3DS, it does not matter how much you pay for it, these people are still making a profit, not for their hard work, but on the back of video game developers. I don’t judge piracy and have always said it’s between you and your conscience: these flashcarts wouldn’t be created if there wasn’t a market for them, so I am not pretending you shouldn’t buy them. But since they are all the same poor quality products with high benefit margin, you might as well go with the cheapest one. None of the “quality” and “support” claims from the Gateway 3Ds will hold water whenever Nintendo patches newer games in a way that will block them. What I’m saying is: since you are giving your hard earned cash to a group of crooks, you might as well minimize the amount. The people behind Gateway 3DS will do fine even if they only get 1 million dollars of benefit instead of 3, trust me. 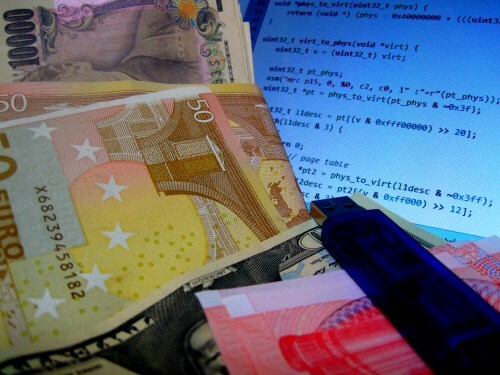 At the end of the day, running unsigned code on your device has risks. Don’t jump the gun, and make sure trusted people always confirm a given piece of software works fine with whatever hardware you have. Your console, your flashcart, etc… If you get a brick for trying to pirate stuff, you can only blame yourself, and really, you probably deserve it. With all their claims about helping people with bricked consoles, the Gateway team will do their best to not have to pay anything or alter their profit to help you, independently if you are their customers or not. My recommendation is to stay away from any such product that has provably included code to damage the hardware it is meant to run on, regardless of their justification. I don’t care how well it’s coded all it takes is a simple unforeseen circumstance and it damages anyone’s hardware randomly – despite mathieulh, myself or anyone else saying ‘it should be safe’ the simple existence of such code makes the product itself unsafe. Gateway too lazy or inept to come up with a way to disable clone cards… throws tantrum instead and goes godzilla on the hardware (3ds) that made people want a gateway at all in the first place, ensuring mistrust of the product type as well as a financial burden on a possible fan of your work. For those of you out there actually seeking a good flashcart for your 3ds, I HIGHLY recommend the Supercard DSTWO. Think carefully about what you just said. Gateway “INTENTIONALLY” put the codes in so that people who bought the clones would get bricked handheld console. Have you seen DarkAlex do the same when people used his works to make CFW that was 5.55+? Did you see Rebug doing the same thing? do you see hardware flasher doing the same thing? N-O. What Gateway trying to do is dominate the markets and trying to run away with what they have. They don’t EVEN have anything that allow you contact them if something happen. 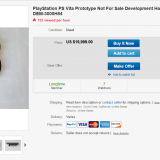 and for a group selling these, they’re just like True Blue dongles that came out for PS3. All they see, bottom line, is profits. Ethics comes in for a hackers. do you want to be known for the exploits you’ve found or do you want to be tied to a groups known to intentionally brick your consoles/handheld? This is the reason why Hackers communities tend to get bad name. it when it get exploited for profits with no supports. IF, and only WHEN it DOES happen to Vita, i ensure you that teh same group behind gateway will do the same thing. Also, don’t forget that the handheld consoles is nearly $200 just for the 3DS. what i’m REALLY sadden by is that, IF you know you can’t afford the games, but just go and buy Gateway for that kind of things…you’re better off going to the park and playing soccers. at least you’ll get exercise, meet different people and ACTUALLY have a rl. I don’t need a Vita-side hack. I can afford all the games I want and would rather not steal from indie devs. $5-10 isn’t much and the Vita’s “blockbuster” games are virtually free anyways. Region locking and reggie’s cocky attitude is why I hate nintendo. Having said that cart and dongle manufacturers aren’t in the same league and the simple fact that they’re trying to make a profit by helping people rip off game companies should give you guys some insight into their character so I’ll ask again why some of you seem so shocked by this? The people that bought this stuff knew exactly what they were doing and knew exactly who they were dealing with and like I said, they have nobody to blame but themselves. It doesn’t matter if their console cost 20 bucks or 2000. If you’re dealing with shady and unethical companies like these then don’t go crying when they pull strong arm tactics. I’m not surprised by it so why are any of you? hey guys, just want to share this.. Some hacker from a 3ds scene has just made a potential hack for 3ds that can be CFW and will run homebrews if it booms.. here is the link http://smealum.net/?page_id=299 .. I think if this will be released, GW or any other clones out there will be the end of their business just like the TB from ps3s that become obsolete because of cobra cfw.. sorry for my bad english.. Except that he doesn’t want to release it, “to prevent piracy”. (Again, this doesn’t prevent piracy, this prevents *safe* piracy and makes companies like Gateway rich off of piracy since they’re all there is). He might be releasing a usermode exploit, which could be used to run emulators, but not 3DS ROMs, even though emulators are typically used for piracy too. I stopped reading after a few sentences where you proved you haven’t actually read the article. Feel lucky I still salvaged your comment from the spam folder. If you think Gateway3ds is not made of cheap Chinese *** just like its clones, you’re not only dumb, you’re also delusional. Too bad for you, if you indeed stopped after only a few sentences then you didn’t even get to the best part of my post, that of the piracy part. It’s near the middle and starts right at the point that literally reads: And on the topic of Piracy. Read that part, Wololo and tell me what you think. I’m dying for your feedback on that part of my post more any other part of it. Wait it’s no where near the middle, my bad, it’s actually closer to the top than I thought. Well too bad for you then, if you indeed stopped after only a few sentences then you didn’t even get to the best part, that of the Piracy part. Go ahead and read that one part if nothing else Wololo and tell me what you think. It’s kind of still near the part and begins with: And on the topic of Piracy. I’m dying for your feedback on that part of my post more then any other part of it. Sorry, didn’t mean to post twice, my PC glitched. Wow…the sense of entitlement I just sifted through. I’m sure there’s more pirates on here than not, but how do you feel you have a right to steal from a game publisher, the coders, the artists, movie producers, musicians, etc? I mean honestly do you feel you’re entitled and justified in going down to your local grocery store and stealing a 6 pack just because you can get away with it? I only read bits and pieces of that mess, but I gotta ask if you’re ***? You can try to justify it and quantify it any way you want to but downloading games, music, movies, whatever instead of buying them is stealing. Plain and simple. The musicians, actors, graphic designers, animators,etc, etc, etc, etc don’t get money for their work. You might as well have walked into walmart and shoved that bluray down your pants. Nope. Illegally downloading files without buying them is NOT stealing. Is it wrong? Of course it is! While it isn’t actually theft, it is hurting the people who made the content that you are downloading without permission. Piracy is not and can never be considered stealing, as you need to be taking an actual copy of what you are pirating, if you copy it, you’re just copying, there is no physical aspect to it. It is wrong to pirate, but you can’t call it stealing. That’s just not the right word for it. I’m not defending the people who do this stuff, infact, I do it too. But if you’re going to try to make people sound bad for doing it, atleast get your wording right. They call it piracy for a reason, and not stealing. Piracy is stealing. Some people can’t afford the games. I was like this as a child in the PS1 era since I couldn’t afford those sweet, expensive JRPGs. I’d rather pay the makers of the game than the people giving me access to it for free. Although piracy is wrong, if I were you, I would atleast be happy knowing that there is a demand for your games or software, that people actually want it. Many only pirate because they do not have the money, including myself, but if I had the cash, I would most certainly purchase the software, instead of pirating it. This doesn’t make me right, but I have a reason for doing it. People pirating your software is a sign that there is a demand, that your product is good. If I were you, I would be both mad and happy at the same time, they may be pirating your stuff, but atleast they like it. But hey, I don’t make games, so who am I to talk? The “problem” with Wololo’s calculations is the the exploit only works on firmware versions 4.5 and below (lower than 4.1 can be upgraded to 4.x by a one-time use of certain game carts). Nintendo ALREADY patched Gateway before it was released (not unusual, e.g. 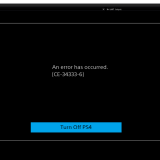 Sony also had PSP firmware 1.51 out before swaploit/kxploit). 3DS’s that are “online” and used to access the eShop have all been upgraded. If GW through a new exploit gets their flashcart to work on v5.x, v6.x and v7.x it becomes a whole different story, but for now it’s a relative niche market for people with old 3DS’es. Edit: a foolproof way to downgrade to v4.5 (potentially even a fake downgrade to 4.1 followed by an “official” upgrade to 4.5) will count as well, it will allow anyone that wants to use a GW flashcart. What I’m saying RickyD is that when you download something that you didn’t pay for, it’s not stealing simply because who you download it from already paid for the song and can make as many copies as he wants and can give or sell them to as many people as he wants. It’s not like I’m going to the actual stores and stealing the physical copies or even hacking into the official websites to steal the downloads, but rather simply downloading from a torrenting site in which case the customer was the one who made the copy and justly did so in his own right. When you take an actual CD from a store, it’s stealing because it’s a physical object that the companies had to pay to make and has to pay again to make another when one is stolen, AND they’re not only losing a sale but even the money that they already paid to make. It doesn’t cost them to make more digital copies though since like I already said, you just simply right click the file and Copy then Paste. Also like I also said before, hurting profit of a company is NOT stealing simply because your only hurting profits that THEY COULD have had but since those profits didn’t actually reach their hands yet, then you stole nothing from them. So the profits aren’t actually rightfully theirs yet until it reaches their hand. So costing them a million dollars out of their own pocket or out of company pocket is stealing of course, but causing them to not gain a million dollars worth of profit isn’t stealing simply because if it’s not in their hands yet then it’s not yet rightfully theirs, thus anything we do to hurt future sales isn’t stealing from them. Or to put it in a different way to see if it actually sinks into that thick skull of yours yet, if a company makes 1,000 copies of a song and someone goes and hacks into their site to download the songs that are the original copies than that is stealing, however, if someone buys one and makes Ten Million copies and gives one to each person, neither he, nor anyone else stole *** simply because they’re only copies from the rightful buyer, and not the actual originals. Maybe when you make a game or some sort of software and want to sell it, you’ll understand. Some of us game devs work hard for the measly scraps, ya know. Paying for a $50-70 cart so that you can play hundreds of dollars worth of games isn’t dumb. It is if you wish to encourage game developers to make games. Of course 100 games for 60$ is a far better deal than 1 per 60$, but you do not factor in the game devs not getting any money. If everyone pirated, no one would make the great games we have. Duh, but not everyone pirates now do they?! Exactly! Which is exactly why I can! Not everyone does it so thus I can bank off of all of the ones that DO pay their money to the developers and because of them devs can still afford to make games thus I can use the good ones as my stepping stones and ladder to the good life of pirating. Basically using the innocent payers and supporters to get my games for free. Does that make me a villain and the bad guy? Of Course, but then again the concept of good and evil, right and wrong, hero vs villain are nothing more than empty titles to those who rise up above the illusion and sees the Truth. You see once you see past the illusion of good and evil, you see the moralistic ones for what they really are, a resource for your own advancement, and self gratification, which is greedy and selfish but those too are just empty words to one who sees the truth and caters to ones self. Which is exactly what I meant by how the moralistic ones will always be below us in my first post. We pirates are above them. Let them pay for their games, songs, movies, software, etc, let them be the supporters while we Pirates get a free ride for life! Don’t get me wrong! They’re important and absolutely necessary to keep the devs alive but just because we need them doesn’t mean I have to be the one to carry the burden of morality. They can carry the burden while I and the rest of the Pirates can free ourselves from it all and live a light life on top with anything we want at our finger tips, instantly. The internet is now the time and era of instant gratification and by the power of the Pirate vested in me, I seize the opportunity with swift action and take dominion over all of it with an Iron Fist!!! HA HA!! Therefore P2 your fears of devs not making enough money is unfounded. Thus, I conclude that I am above ALL moralistic people as they are nothing more than a bridge and tower to my life on top, as not only a Pirate but also as a God! Sure, I’m only human, I’m no God…Yet, BUT I AM however liberated with this way of thinking AND this applies not just to pirating but to ALL things regarding morals. It’s just one of many steps to rising above that of humanity and achieving ULTIMATE PERFECTION!!! I got news for you brother… Game makers are pirates. I’ve been working in the software and gaming industry as a programmer for over 10 years and just about everybody I know pirates games, music, movies and software. Most of us have a try before you buy attitude about it. If something absolutely blows my socks off and has great replay value, I support the devs and buy it. It only make logical sense to experience the product before you make the investment. Who in their right mind would just blindly hand over their money before knowing what they’re getting? Oh yeah…. Most of everybody that is alive today. smh People need to stop being so naive. i bought another 3ds xl just for this hack brand new if it bricks ohh well nothing last forever and it has saved me money in the long run. i still buy the games i like im sure getting smash brothers and a few others when they come out. money isnt even an issue its just im a jew. and dont mind making a small investment before i begin to save money. as for not supporting the developers i actually work in the industry so im helping them make money. so i dont feel guilty that they dont make a few bucks off me when i move their products. Okay let me just start with. Christopher. Out of all the people I’ve had the please to call ignorant on the internet you will probably be my favorite. Simply because you’re such a dense fool that it won’t even affect you. pirating is stealing. Plain and simple. Yes the company hasn’t gotten the money so it isn’t their money yet. However; you have a copy of their product. Copy or not. It is their product. You don’t BUY your games, the company RENTS it to you. BECAUSE of people like you. It is the companies right to step in and say “this is our product, you do not have permission to use it in such a manner” and sue the heck out of you for it. all the people you rag on about being stupid for paying for things, are the people you NEED for your I guess you could just call it fun. And with more and more people pirating, those people will dwindle more and more over time. Leaving NOTHING. the concept of making and running a backup of a game was exactly that, running a backup of a game you have played for. That doesn’t mean go back and sell the game once you’ve backed it up (we all know how many people do that ffs) it means you keep it and play on the backup so you have the original in case something goes wrong. Data sits and degrades over time. But that doesn’t worry someone like you right? You’ll just download it again stealing just ONE more time, over and over. So go on. Ruin things for EVERYONE, be an ignorant pig. Divulge yourself in your “free” stuff while it lasts. While you slowly pull the fabric that makes the gaming industry apart, and there is no more. and let me end with. Talk about absolute demoralisation, you sound like a hysterical madman. Getting any sense into that head of yours is simply pointless by now, you’ve dug too far into egotism and self-importance. You’re a detriment to society, and a wall of text crapped with your foul language will not justify otherwise. So just stop. I’m actually astounded by how you find the time to write all that. Is software piracy stealing? That really depends on the end user. The average user who down loads photo shop ($800!?! Really!?) probably not. Here’s why: intention, that person is neather making money with the software, or has the money to purchase it, and so the creator was never going to make any money off this person to begin with. This translates directly to all types of software including games. Last I checked this planet we live on is run by crooks, con artists and cheaters. The most successful people in this world did not get where they are from playing fair or being honorable. Approximately 90% of all wealth is owned by 1% or less of the population. People like me are scraping by to feed our families, working around the clock with no breaks and very little to show for. The low and middle class are trapped in a loop as if running on a treadmill. Modern day slavery with the false sense of freedom. Big business reaps all the rewards at our expense while we’re distracted by their products. If their product can be so easily exploited, they should either improve their products or get out of the business. I cannot see the 3D, it just looks like an image jumping back and forth… Others see it as 3D, I just cannot… So my question is, can I play the newer games 3Drom on the old DScart, as long as the 3D is off, or the DScart can’t load the… Data(?) At all. In other words, could I get a 3DS ROM on the DScart if 3D is off on the system? Actually these flashcarts are no longer for just pirating games, if running a newer software such as 11.5 it is the only way to add CFW to your 3ds. CFW on the 3ds does something not illegal that shouldn’t have to be done anyway. That is removing the region lock on your system so you can play games from any part of the world. Being someone who has moved countries this was a problem. Not only that but japan has double cross and I needed that ***. So you have an option, pay people charging far to much for a 3ds with older firmware, or pre installed with CFW or pay less for a cart and add CFW to any firmware. Neither deserve the money but someone is getting it and it’s the cheaper option. I stated it’s the only way I meant only reasonable way. The other way is to already own a 3ds with CFW or hard mod with a soldering station.